Sensory integration is a process that refers to how we take in, interpret and subsequently react to sensory information from our internal organs and our environment. The way we process this information can affect our learning, activities of daily living, confidence and behaviours. Our 5 External senses are sight, sound, taste, touch & smell. Proprioceptive sense: Our sense of body awareness and muscle stretch. Receptors in our muscles and joints tell us where our body ends and the rest of the world begins. Inputs into this system occur through muscle stretch and joint compressions and can be calming for our sensory system. This system is responsible for us not needing to look at stairs as we walk; we know where our foot is in relation to the ground. It is responsible for us being able to walk through door without hitting our shoulders and manoeuvre around people and obstacles. Interoception is our internal sense of proprioception from our internal organs and can relate to toileting, feelings of fullness, etc. Vestibular sense: Our sense of movement and balance. Our vestibular system is within our head close to the structures that allow us to hear. An example or our vestibular system in action is that feeling when we are moving up or down in a lift, sitting still in a car but still feeling the movement when our eyes are closed. Our vestibular sense is closely related to our eye muscles control, postural reactions, balance, coordination, attention and concentration. Slow linear movement can be calming for our sensory systems, erratic and unpredictable movement can be alerting for our sensory system. Sensorimotor integration difficulties suggest that the affected individual is unable to efficiently and effectively use sensory information in a refined/ discriminative way. This causes difficulties with gross motor ability e.g. posture, coordinating head and eye movements, body awareness and coordination. 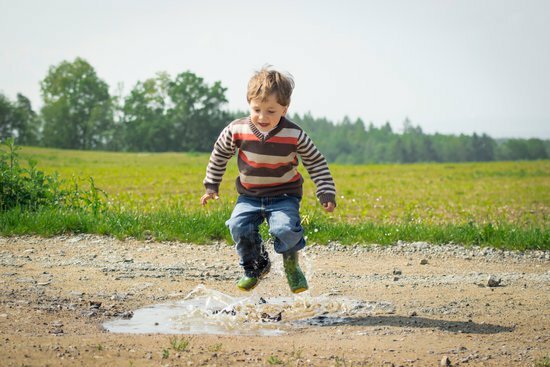 An Occupational Therapist can help build a gross motor home program with a sensory motor basis for your child to complete each day to help integrate their Sensory and motor systems. Functionally this can help support improved seated posture during writing tasks, improved spatial awareness when on play equipment/ moving through the classroom, improved hand eye coordination, improved core strength, endurance and balance. Sensory modulation refers to our ability to organise our sensory information for future use. It involves being able to filter and out and process different sensory inputs which influences our behaviours in day to day function. The regulatory state in which we are calm, listening and ready to learn is referred to as our ‘optimal band of regulation’. We all need differing amounts of sensory information to stay within this ‘optimal band’ as adult we are able to unconsciously know what our body needs e.g. leaving desk to get a drink of water to wake ourselves up, going for a run/ walk in the evening after work, tapping our foot while seated or pacing while we’re on the phone. Children with Sensory processing differences can have difficulty working out what their body needs in order to remain within this optimal band. An Occupational Therapist can help your child learn about their sensory system and provide a ‘sensory diet’ (large list of specific gross and fine motor and relations strategies) that can help them stay within their optimal band. Sensory integrative therapy is play based, functional and child led. Fun, interactive and experiential activities that incorporate the 7 senses are built into your child’s day. Sensory Integrative Therapy is a holistic approach, allowing your child to be the best they can be in a fun and interactive manner that boosts their learning, self- confidence and independent skills.